A writer at the Uptown Almanac laments the painting over of an unauthorized mural at 24th and Capp. 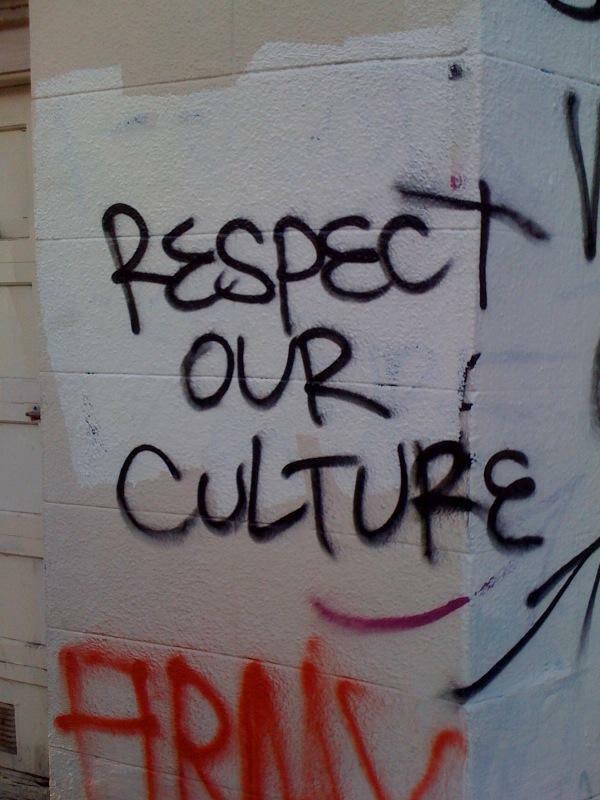 The graffitos want people to respect their "culture," but they don't seem interested in anyone else's culture, i.e., one that respects property owners' rights not to see their buildings defaced without their consent. I've made my position clear in the past. What do you think? 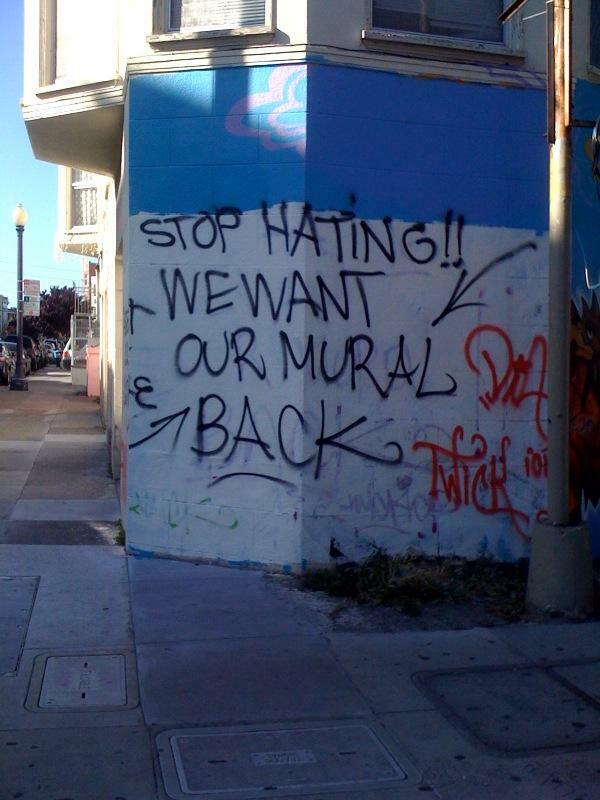 Only in CA could vandals be incensed by the removal of graffiti. What precisely is cultural about their street art? Is this person the next Shepard Fairey? Even he recognizes the impermanence of their 'artwork'.